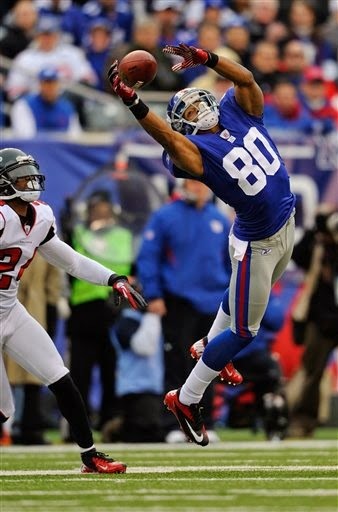 The New York Giants were a Jekyll and Hyde team in 2013. After winning the Super Bowl a year earlier, the Giants started their season 0-6, just to bounce back and win seven of their final 10 games. Head coach Tom Coughlin needs to see better turnover management in 2014 as New York committed a league-high 44 turnovers last year, including 27 interceptions by Eli Manning. We see the Giants putting together a solid season in 2014 on the basis of a solid offseason and a mediocre schedule. The Giants went out and signed Rashad Jennings to be the #1 back in 2014. Jennings has never been the clear cut starter, so it will be interesting to see how he handles to job, but the Giants like to run the ball, so we expect strong numbers from Jennings. Additionally, New York drafted young playmakers in Odell Beckham Jr. and Andre Williams, who should both help the offense improve. Look for a solid season from this unit as they rebound from a tough 2013. The Giants defense ranked a respectable eighth in yards allowed in 2013, but ranked 18th in points allowed, due to the offense turning the ball over so often. We see the defense playing more solidly with the addition of Rolle, Demps, and McClain, so look for New York to be a sleeper DST in redraft leagues and look for Beason and Pierre-Paul to be solid contributors in IDP formats.